Three quarters of an inch of precipitation. That’s all they’ve had in Scottsdale this year. 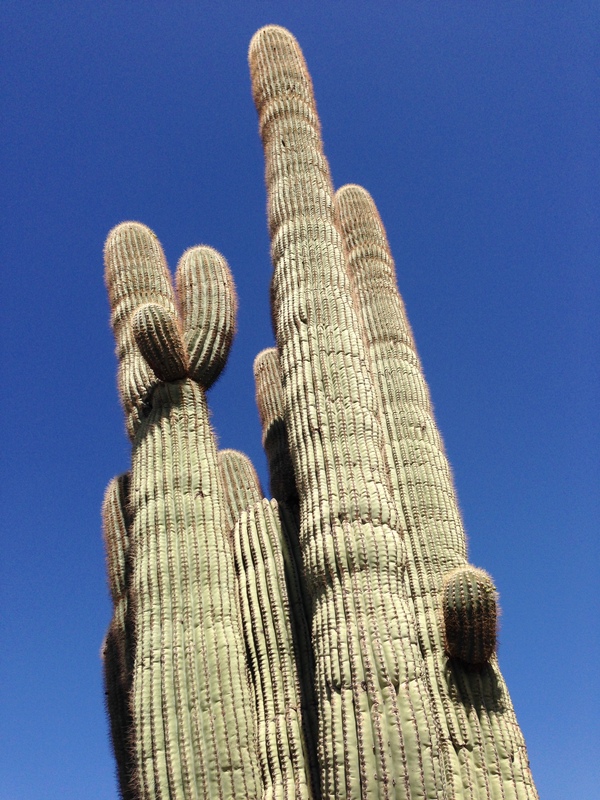 Luckily, baby saguaros like this juvenile don’t need much to thrive. They become monsters with just a little drink of water at a time. When you feed your mind, water it, fill it with the energy it needs to think, to write, how much is required? Could your creativity survive a drought? 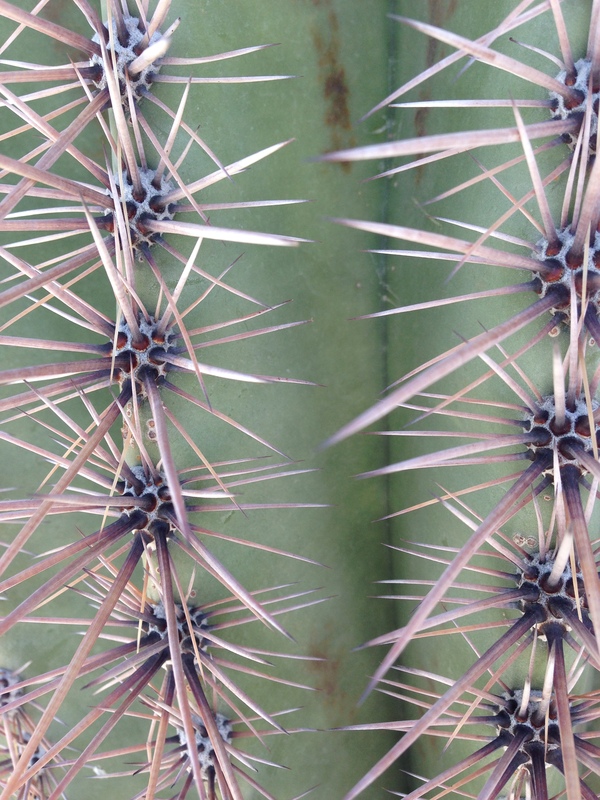 The stuff you produce can be succulent as saguaro flesh, piercing as its spines. Flowers. The few buds that materialized this year, three-quarters of an inch worth. 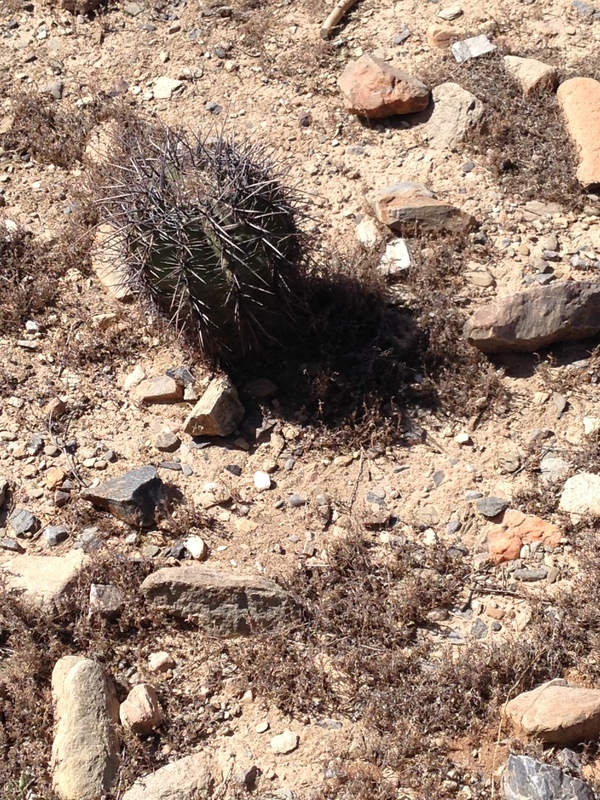 The cholla cactus can only just manage to squeeze them out, it seems. But when you find a blossom — when you discover one in yourself, especially after a dry spell — it’s ravishing. 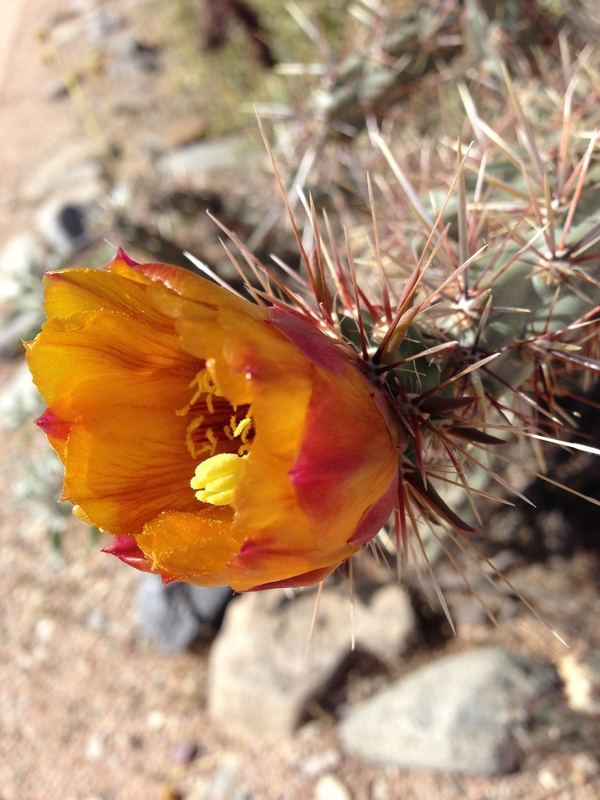 May your droughts be few and short, and may you flower profusely! Your SAVAGE GIRL presentation today received much applause, well-deserved.